What if the goal of your life was to live in a constant state of gratitude 24 hours a day? Gratitude is one of the highest vibrations on the planet. It is a close cousin to love and comes spontaneously from opening your heart to life itself. The energy of gratitude is so transformational, so healing, soooo powerful, that it can be the ONE secret to increasing your manifesting vibration and attracting EVERYTHING you desire in life. Appreciation instantly opens your heart, and connects you to the Divine power in all of existence. In just one moment of gratitude, you can feel that you have leagues of Archangels behind you orchestrating life to unfold magically in your favor. My invitation for you today is take on my 24 Hour Gratitude Challenge and see what happens for you! This exercise is guaranteed to upgrade everything about your life. Are you ready? 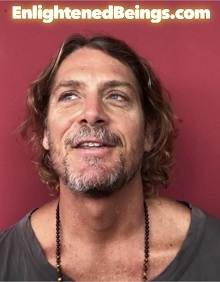 Ok so it all begins in this now moment…to imagine you are putting on “Gratitude Glasses” that make you see, feel and believe everything in your life is filled with this gracious, appreciative, joyous state. Imagine these magical etheric glasses have melted into your face and merged with your brain. Feel that they have softened into your system inside where your brain is now connecting with your heart. Now practice looking at one thing in you physically around you or some thought in your mind with your new “Gratitude Vision”. It really doesn’t matter what you are thankful for, it could be anything. Maybe you’re thankful that you have toes and fingers, or some random tree outside, or that you can read this message, or perhaps for someone who loves you in your life. The trick here is that to smear this gracious gratitude over EVERYTHING that your mind is noticing. Whatever it is that your mind is focusing upon, find SOME way to be grateful for it. Give your gratitude muscles a workout! See every single thing through this grateful heart, brain and eyes that you have. Feel each situation, person, or incidence from the heart of your new profound super ability to appreciate, relax and be deeply grateful for it. Once you get into it you’ll see how fun, enjoyable and addictive it is! Now, here comes the fun part! For the next 24 hours, continue bringing a gentle awareness to how you are secretly wearing your new Gratitude Glasses. Do NOT tell anyone you are doing this practice. No matter what happens, meet each situation with grateful eyes. Practice seeing all meetings, interactions, life experiences and situations as a gift. Connect to each person with trust, knowing in some way they are a teacher working undercover for the Divine. Explore what valuable life lesson everyone is teaching you. Remember the God force is behind it all, giving you exactly every little thing you need for your soul’s enlightenment. The real question I’d like you to ask yourself now is… HOW are you planning to remember you’re wearing your Gratitude Glasses when life throws you an emotional curveball? How are you going to remain in this state of appreciation when others are not? The answer is simple. Listen to your body. When you’re not in a state of gratitude your body will feel contracted, stressed, tense and tight. When this occurs, reboot! Refocus your mind back on what you’re thankful for instantly. See the blessing in disguise. It will come back to you when you just refocus, all it takes is one moment of awareness. If for some bizarre reason your Gratitude Glasses completely fall off for many hours (because of some super important horrific circumstance that wasn’t in alignment with your expectations), take a deep breath and remember this message. Even thought this event was not what my ego wanted, it was what Grace needed for the highest good of ALL concerned. Sometimes we cannot see the bigger picture why “bad things happen to good people”, yet as far as our soul is concerned on its infinite journey, it is all karmic fuel for the fire of one’s spiritual awakening. By accepting the soul purpose of each negative experience is to push you deeper inside to find your greatest source of gratitude, you can welcome them all with open arms. Click Here to Share via Facebook! If you’d like EVEN MORE amazing support in manifesting a life that is truly free from suffering, I’ve created an online 90 Day Super Manifesting Program that will do this just for you! It contains a goldmine of enlightening information that will shift your consciousness, and show you exactly HOW to shift your vibration so that you can easily transcend negative poverty stricken thoughts and feelings. It’s 100% GUARANTEED to help you manifest ANYTHING you desire in your life in 90 days or less! I know this sounds outrageous, and too good to be true, yet it has worked for tens of thousands of people from 30+ countries around the world. It will work the same for you! It is simply the most powerful manifesting program you’ll ever find, simply because it is effective, and works fast! You will dramatically improve your life reach a higher state of consciousness where you can manifest anything you desire! Using this enlightening program only 6 days a week for the next 90 days, you will see how easy and FUN it actually is to become the manifesting master of your life! In this sacred download are 27 Enlightening Videos, 12 Manifesting Meditations on MP3 audio, and over 360+ pages of Enlightening Information that provide the techniques, tools, methods and technology to start manifesting the life you desire! This life transforming online experience contains the world famous Manifesting Manual that has a plethora of manifesting techniques that will allow you to discover how to tap into the manifesting power sleeping inside you. Yes, this is a truly self empowering 90 day manifesting experience that will shift your energy and consciousness so that you become a Manifesting Magnet for attracting anything that you desire! Start your enlightening adventure by igniting the manifesting mindset inside you! I’ve made a series of 27 enlightening videos and 14 interviews with over 250 minutes of Manifesting Meditations and over 360+ pages of Enlightening Information that gives you the techniques, tools, methods and technology to help you start manifesting the life you desire! It’s amazing how easy and effortless it actually is to become the manifesting master of our lives! Get ready to totally transform your health, wealth, relationships, and spiritual connection right now! Click Here to SEE Everything Inside the Super Manifesting Program Now! Do you want a monthly passive income sharing my Super Manifestor Program? 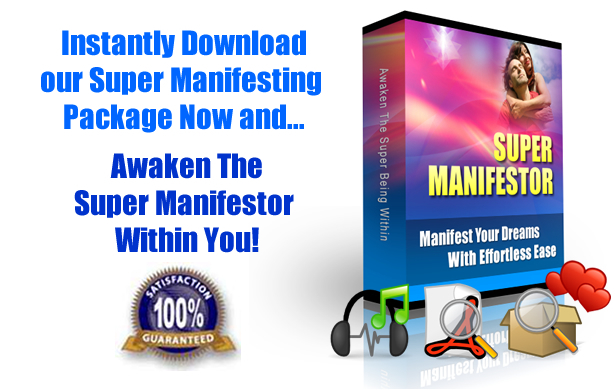 Become a Super Manifesting affiliate…its absolutely FREE! How our Automated Marketing System will work for you! Copyright 2017. Enlightened Beings. All Rights Reserved.